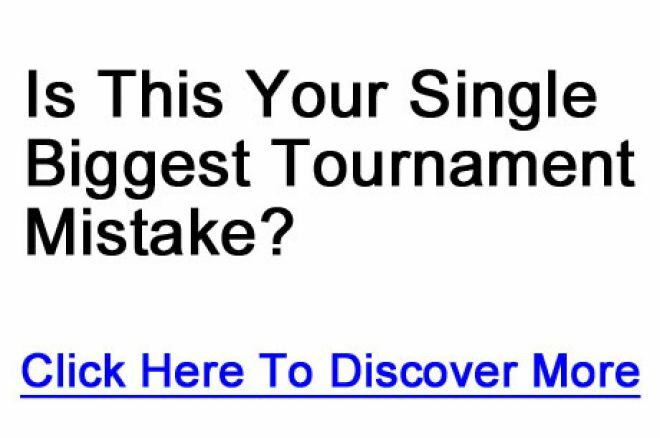 Would you like to know the single biggest mistake you’re probably making in your tournament game right now? Would you like to know how to fix it? The super scary part is you probably don’t even know you’re making this mistake. And it can take you out of a tournament FAST. Nick Wealthall, host of the UKIPT and Voice of the Sunday Million and WCOOP, has just released a brand new video that reveals the mistake — and how you can start fixing it. Click here and enter your email now. This is the latest video in Nick's training series, which has already received hundreds of likes and comments in the last few days. We’ve been really impressed with these videos. Nick explains this stuff in a way we’ve never heard before. Nick is also giving you a free tool to help you work out the biggest problems with your tournament game (so you can fix them). To get it, just click here, watch a short video from Nick and then enter your email. You’ll get access to the video instantly. We recommend checking this out right now while the videos and tools are still available. Don’t miss out!